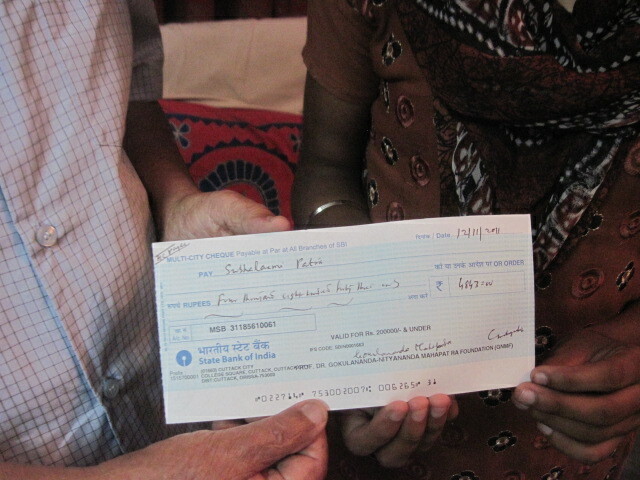 On 9th Nov 2011, a small function held at Amrapalli, Dolamundai which is the registered office, Prof.Dr. 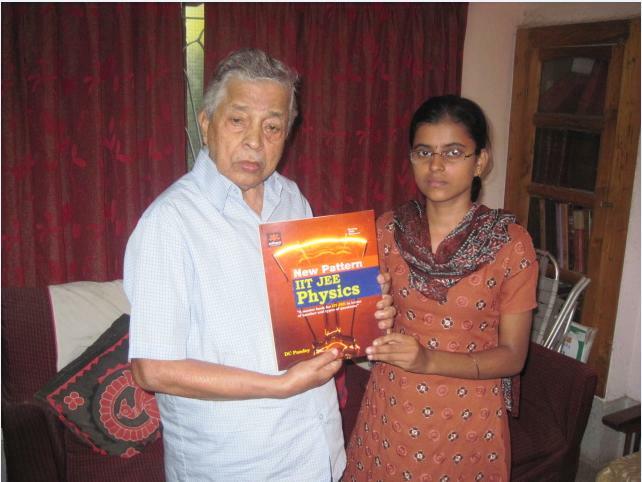 Gokulananda Mahapatra, President of GNM Foundation presented a cheque of Rs 4843/- and a set of books containing all text books of Physics, Chemistry, Mathematics and IIT, AIEEE, O-JEE entrance test books worth of over Rs.5000 to Miss Subhalaxmi Patra who is a meritorius +2 Science student at S.B.Womans College,Cuttack. 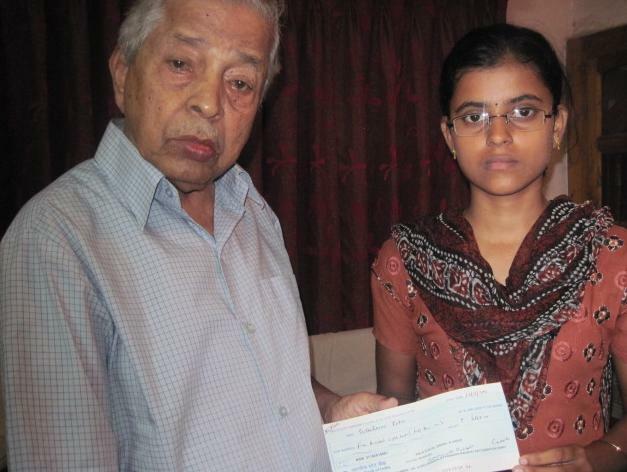 Miss Subhalaxmi Patra is a bright student who has secured an aggregate marks of 518 out of 600 in the Board of Secondary Education exam held in June 2011 and wants to pursue her career in Engineering. This is one of the objectives of GNM Foundation, to help meritorius students pursuing their career.